Each December, The Danish Pioneer Newspaper publishes an extra-large, extra-special holiday edition – 4 times the usual size and again this year in FULL COLOR. NOW is a great time to subscribe to The Danish Pioneer Newspaper or to give a gift subscription. 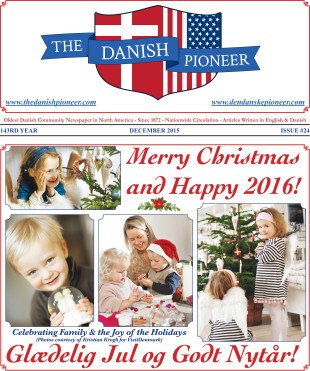 Subscribe today and we’ll start your 2016 subscription by sending The Danish Pioneer Newspaper’s BIG HOLIDAY ISSUE directly to you in an envelope (or to the gift recipient with an accompanying holiday card from you). The Danish Pioneer is a gift that keeps on giving throughout the year. Recipients receive 26 issues annually including the special Christmas edition. 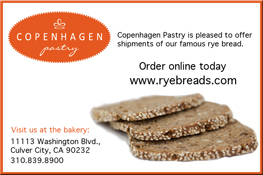 Happy Holidays from The Danish Pioneer! Subscriptions are $40 per year in the USA via Periodicals Distribution, $58 in the USA via First Class Mail, $60 to Canada and $70 Overseas. Please send a check or money order payable to Bertelsen Publishing Company, 1582 Glen Lake Road, Hoffman Estates, IL 60169 USA. Please include your name, address, phone & e-mail. MANGE TAK and Merry Christmas & Happy 2016!